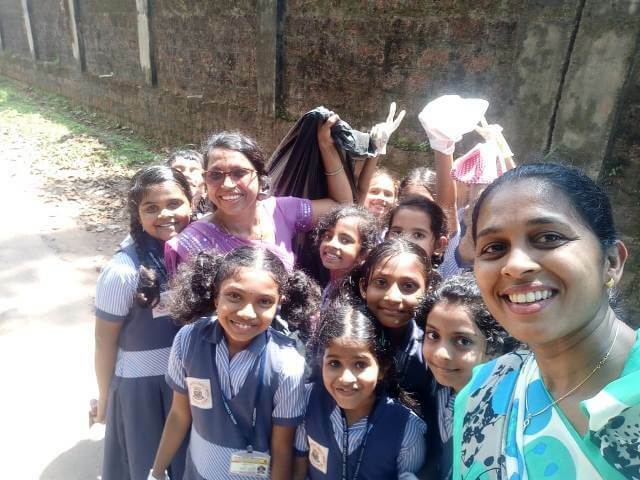 “Be the change you want to see in the world”. 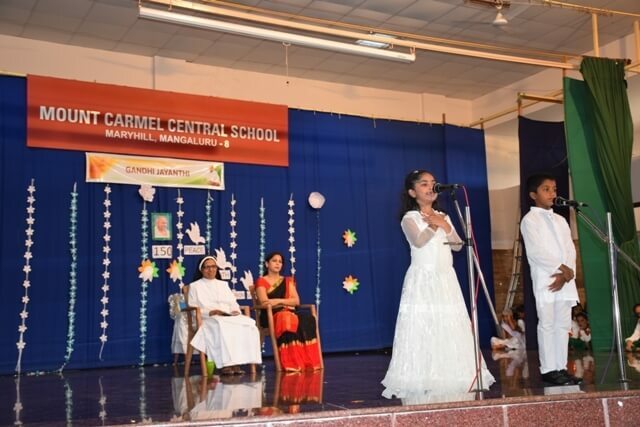 A famous quote quoted by a man whose 150th birth anniversary was celebrated today in our school with great zeal and reverence. 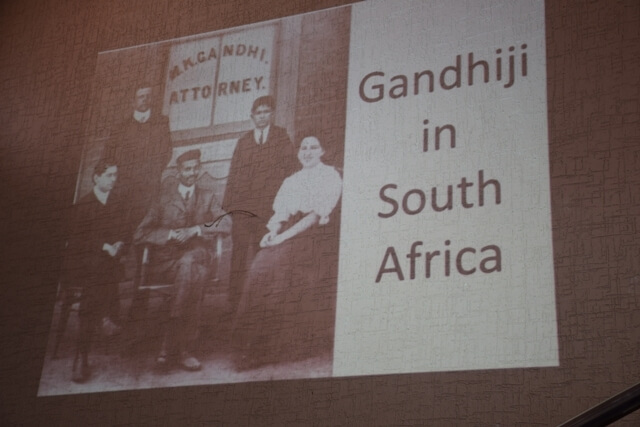 He is none other than, Mohandas Karamchand Gandhi, our dear Bapuji. 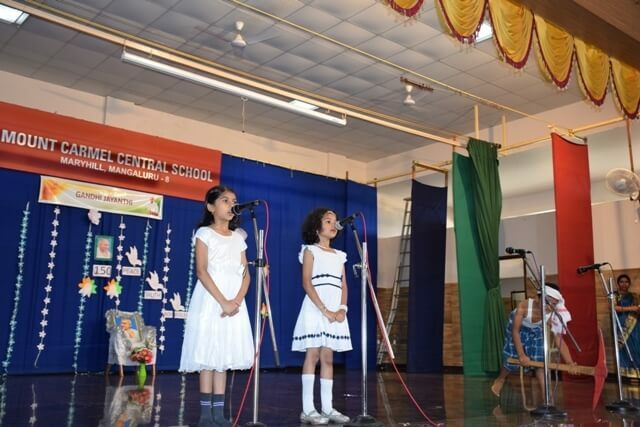 A short yet endearing programme on this occasion was put up by the students of V A and B in the school auditorium on October 2nd 2018. 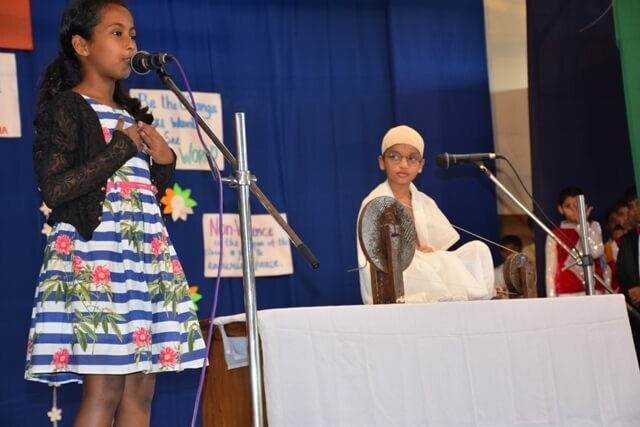 The MCs having introduced the theme of the day, the students led the gathering into a multi-faith prayer service. 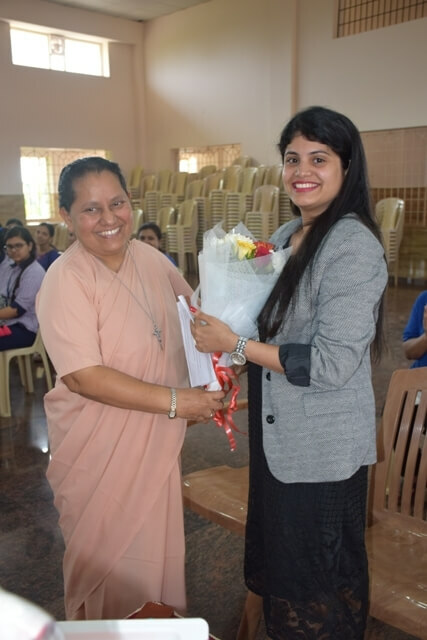 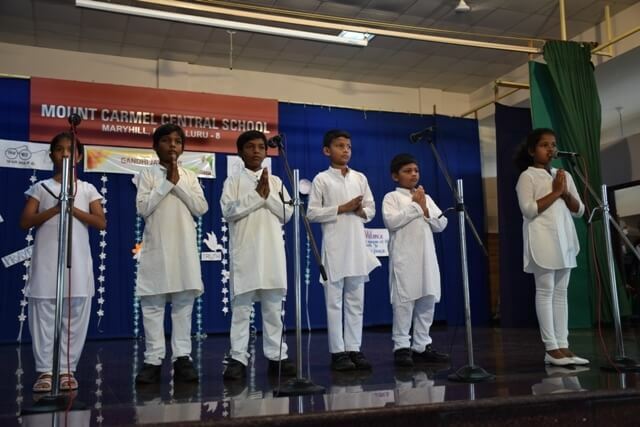 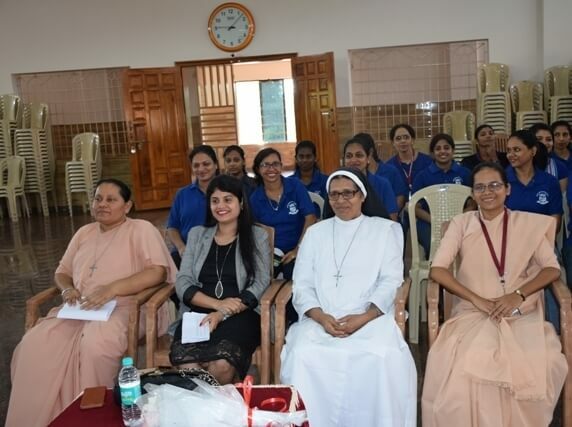 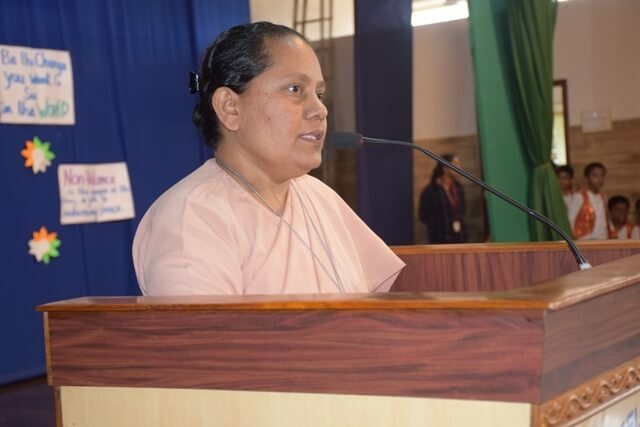 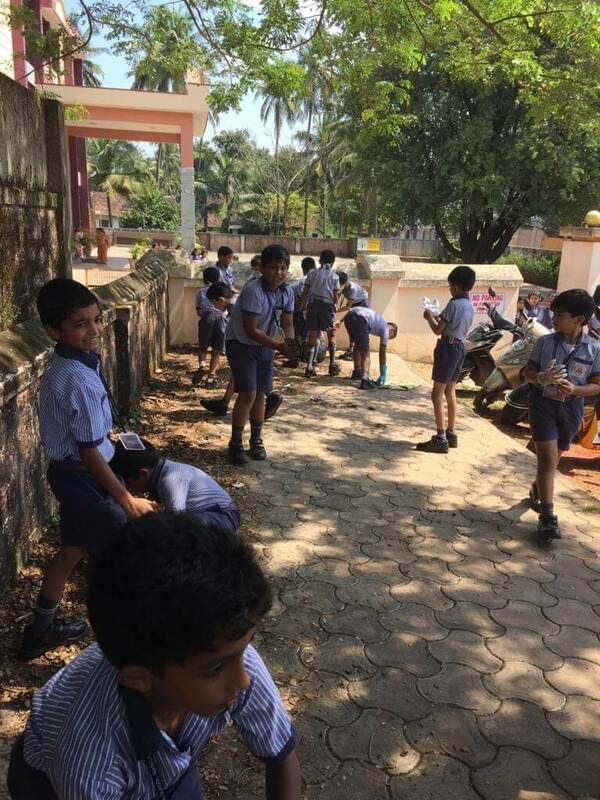 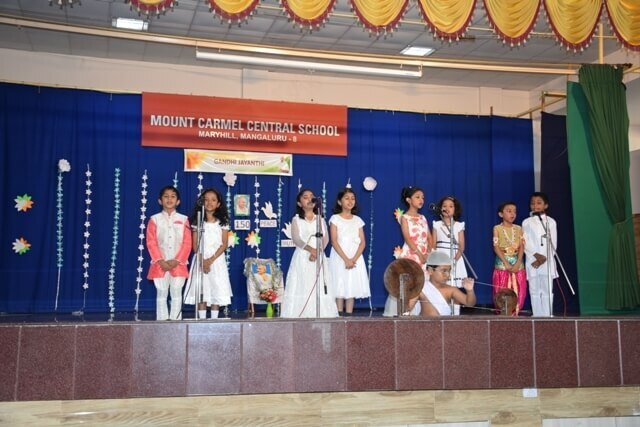 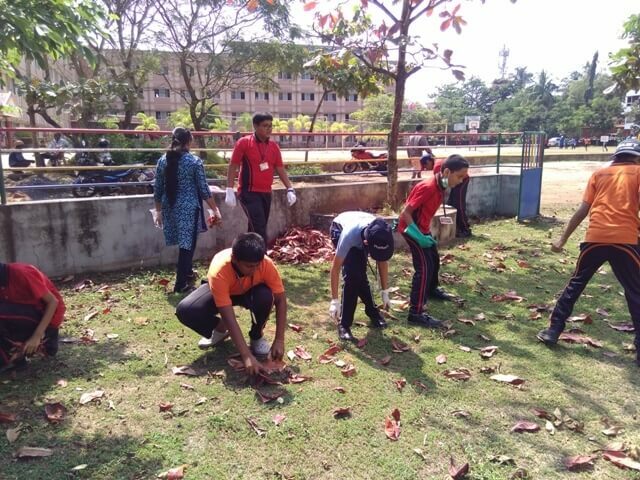 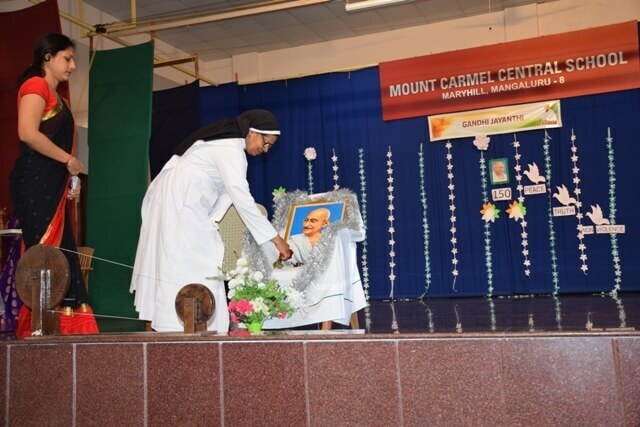 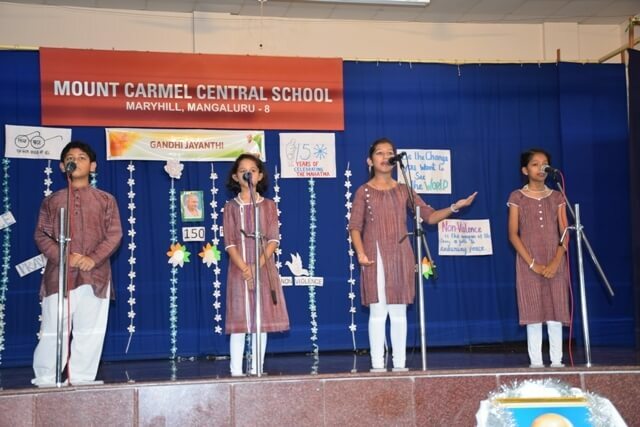 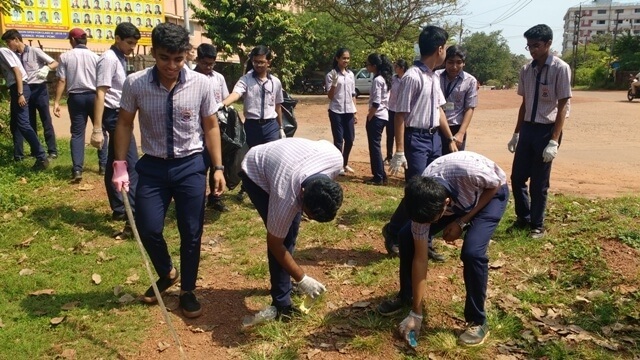 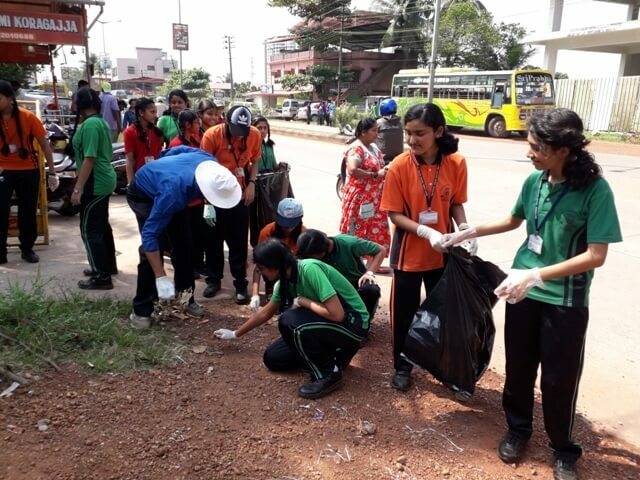 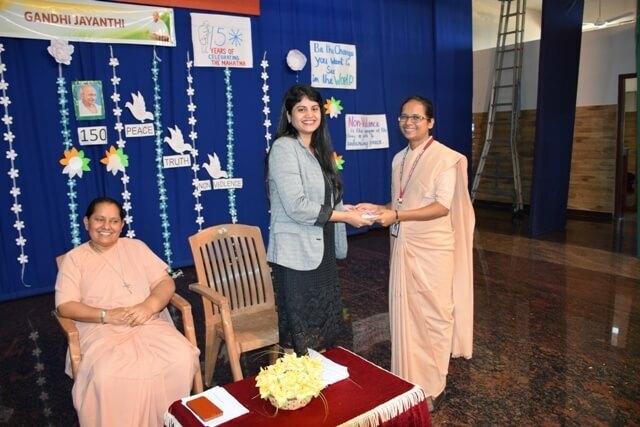 Principal Sr. Melissa reiterated the significance of the day, as October 2nd is also known for interfaith prayer because Gandhiji believed in the peaceful coexistence of all religions and Swatch Bharath, Swatch Vidyalaya – Cleanliness Drive throughout the country. 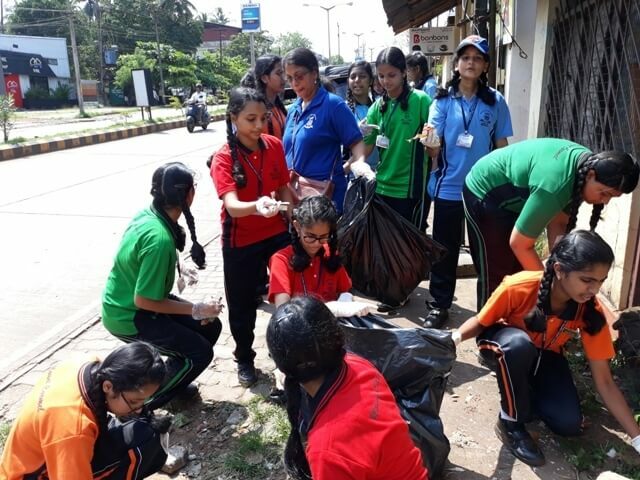 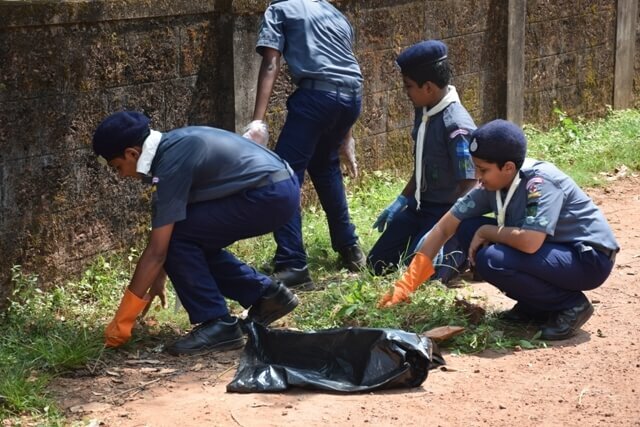 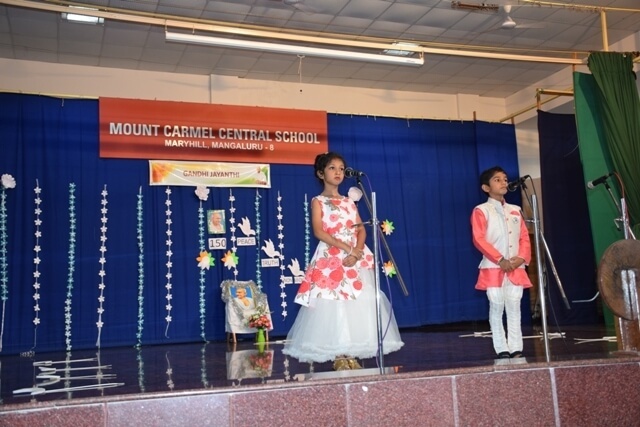 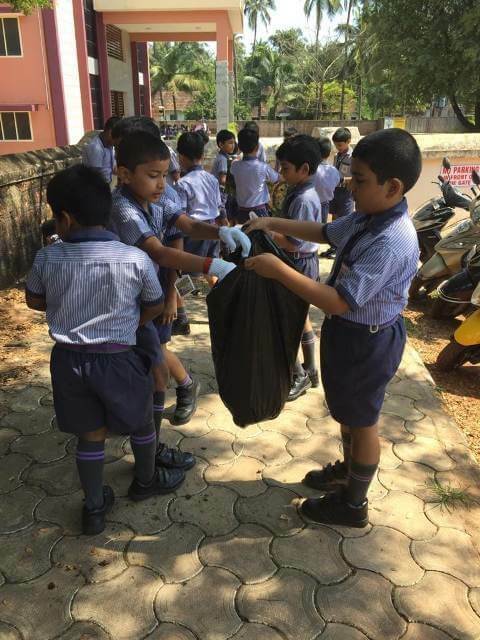 On this occasion, she led the entire school in a pledge to keep the country clean, to devote at least two hours a week towards cleanliness of not just homes, but school and surroundings too. 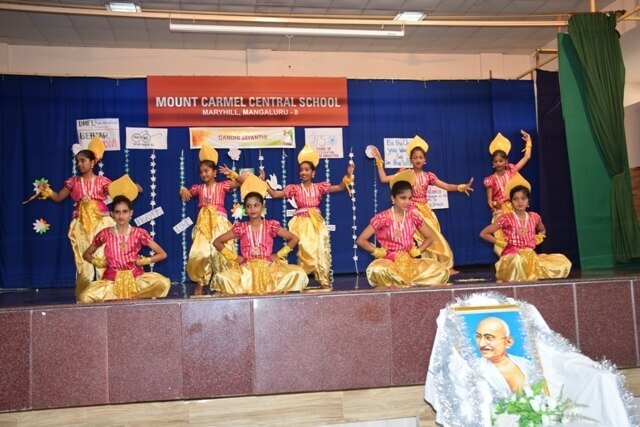 The highlight of the programme was a meaningful Hindi dance drama depicting the life of great Mahatma followed by a lively dance setting the tone for the joyous 150th birth anniversary celebration of Bapuji. 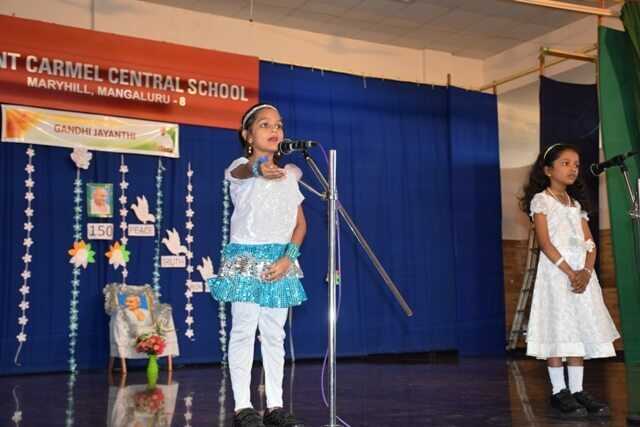 In an unprecedented move, two teachers took the mike to say a few words on some of Gandhiji’s principles. 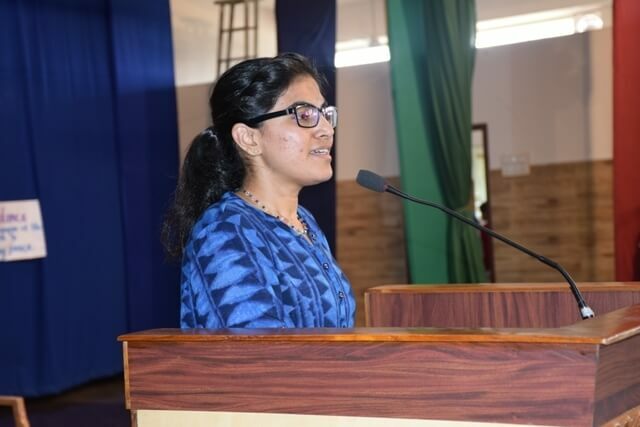 Ms. Neema spoke about the value of truth and how we should try to emulate this in order to grow and develop our personalities to be better citizens. 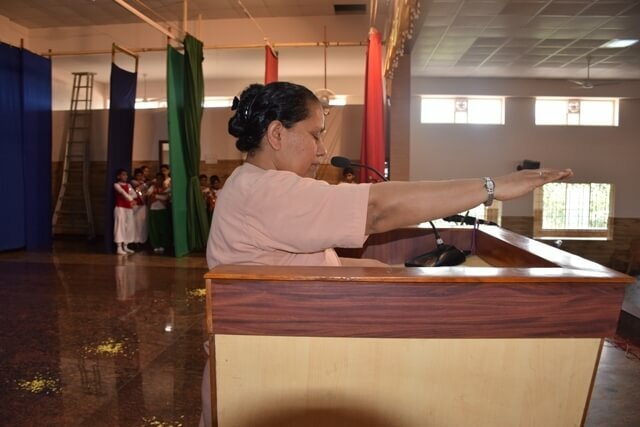 Ms. Silvia brought out the values of nonviolence and peaceful coexistence, highlighting the loss of values and increase in several crimes prevalent in our country today, and the need for nonviolence and peaceful coexistence in creating a more stable society. 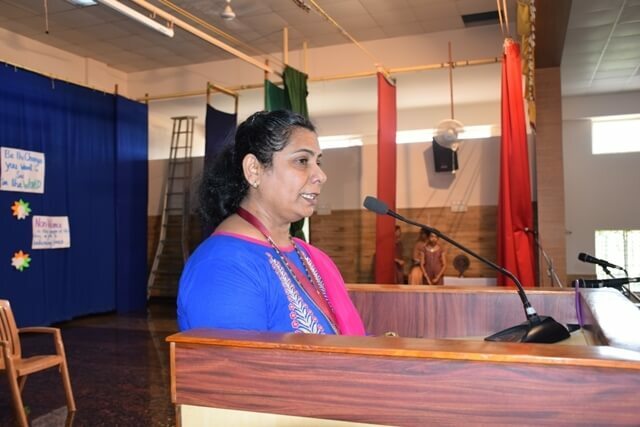 It was time to listen to the Chief Guest’s message and the hall quietened down in eager anticipation. 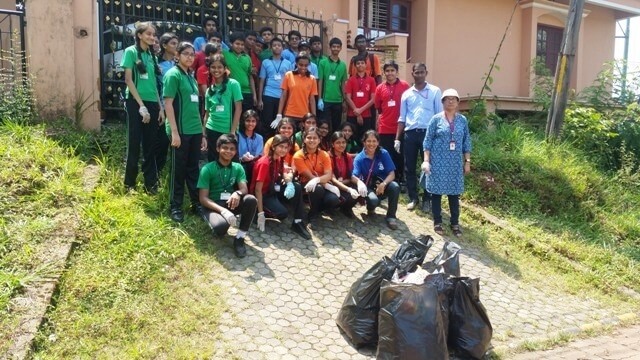 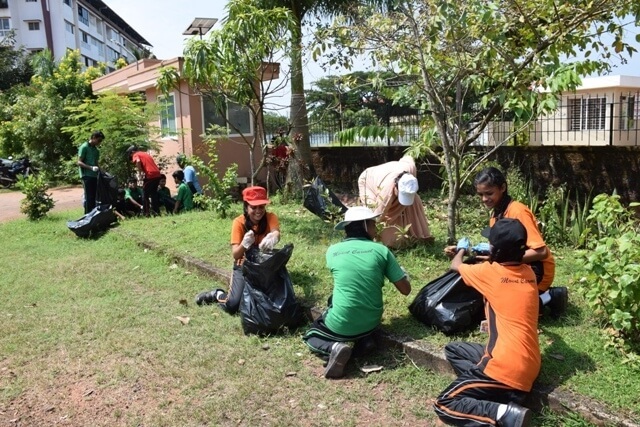 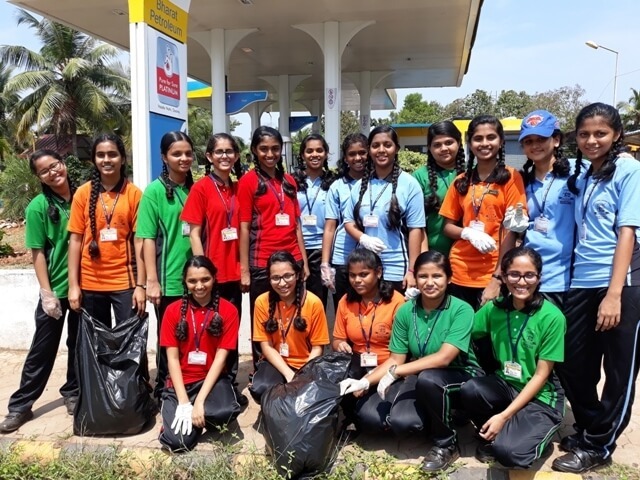 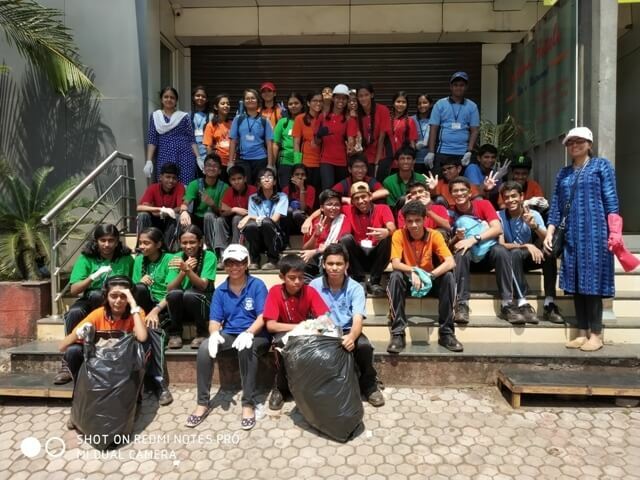 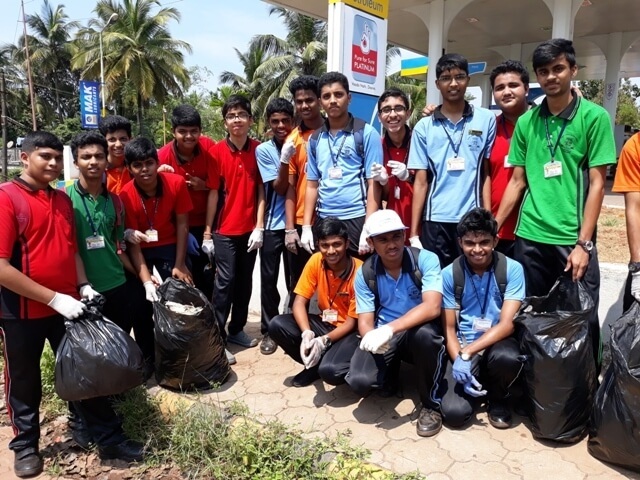 After a brief introduction about Behtar India, the Senior Sales Manager of DHFL Pramerica, Mangaluru Region, Mrs. Esther Rakshita announced several contests designed to help improve the environment, as the theme for this year was ‘Recycling’. 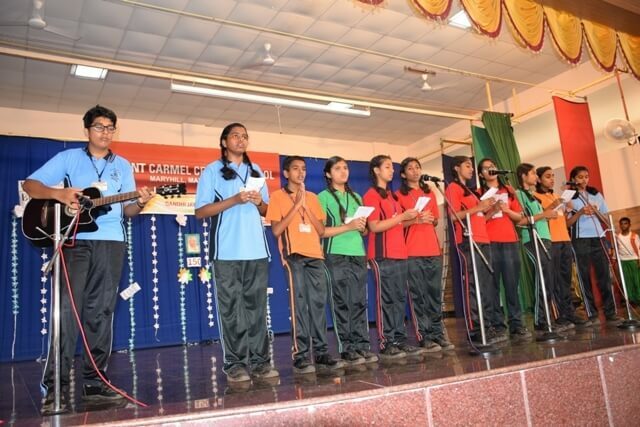 One of these was the used paper and e-waste contest and the other was Go Green Summit. 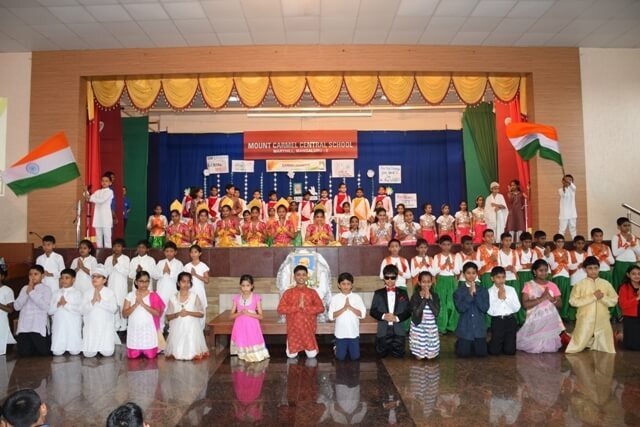 The programme ended with the National Anthem. 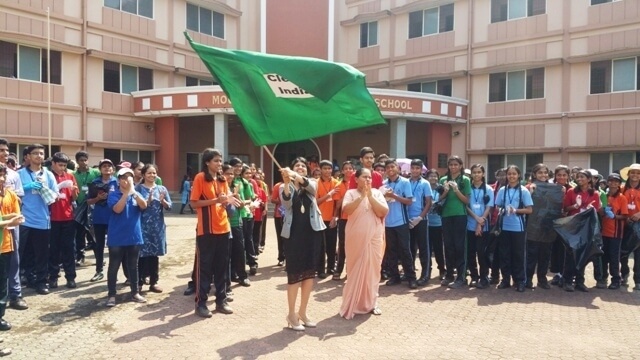 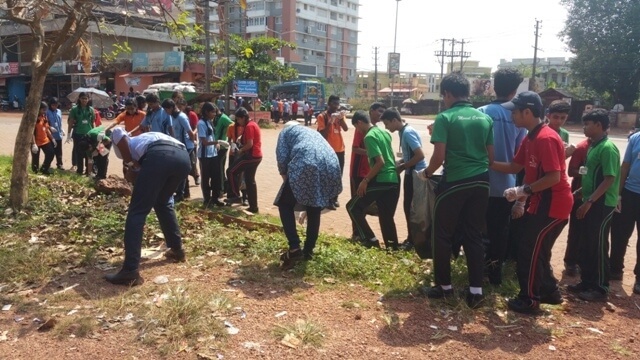 The students then assembled on the grounds, where the Chief Guest flagged off the Swatch Bharat Cleanliness Drive. 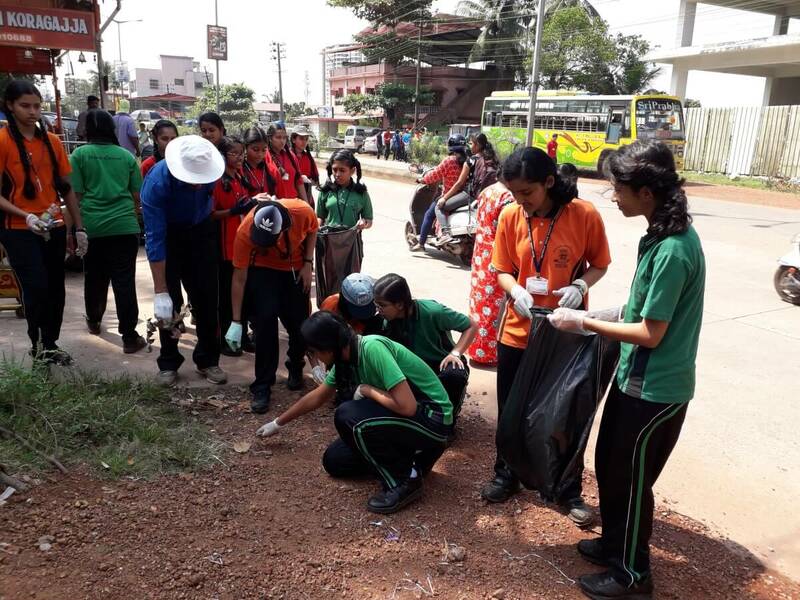 The Principal, staff and students dispersed in all directions in and around the school within a range of 2 kms to carry out the ‘Swatch Bharat, Swatch Vidyalay’ mission with a light heart and fiery spirit. 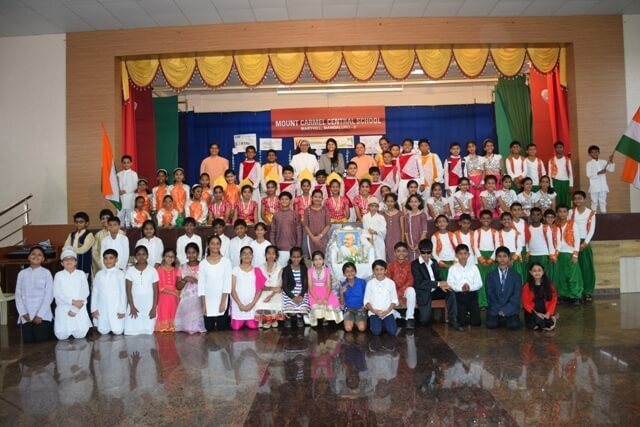 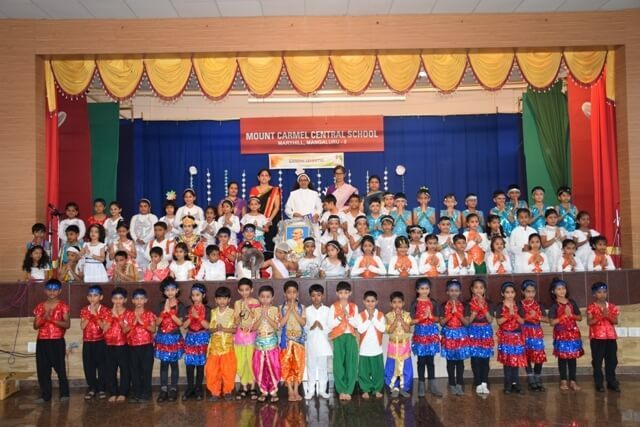 The students of Class II A and B hosted the celebration for juniors on October 1st. 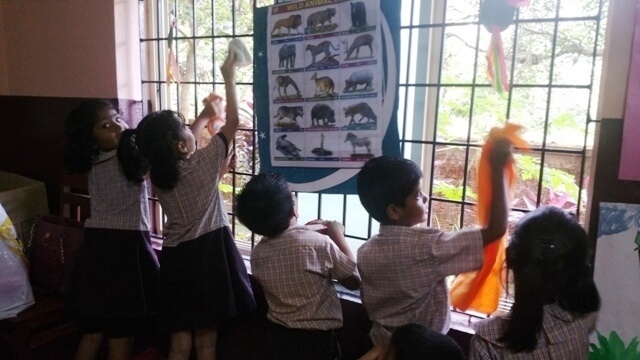 ‘Truth always prevails. 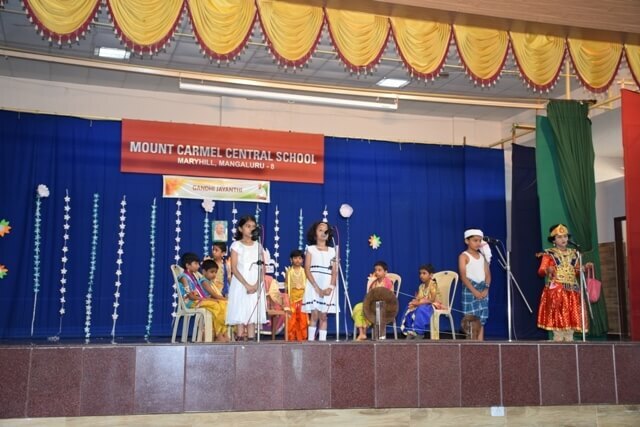 This subject was beautifully brought out through a skit and the moral was well taken by the students. 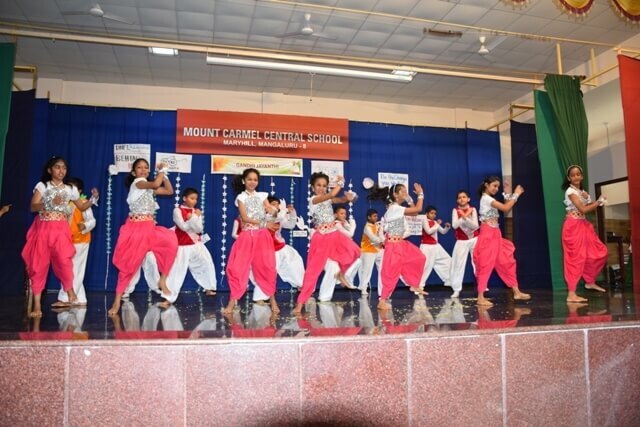 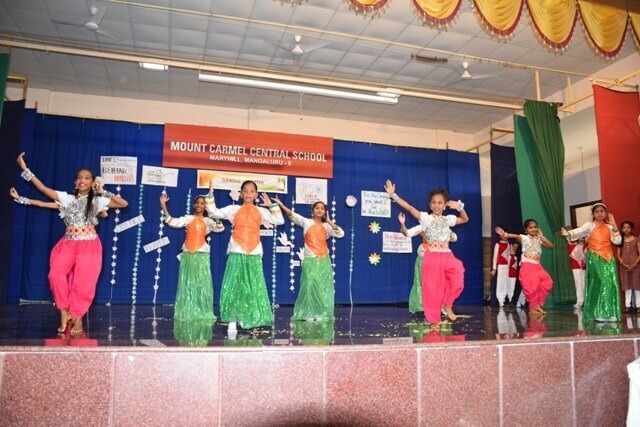 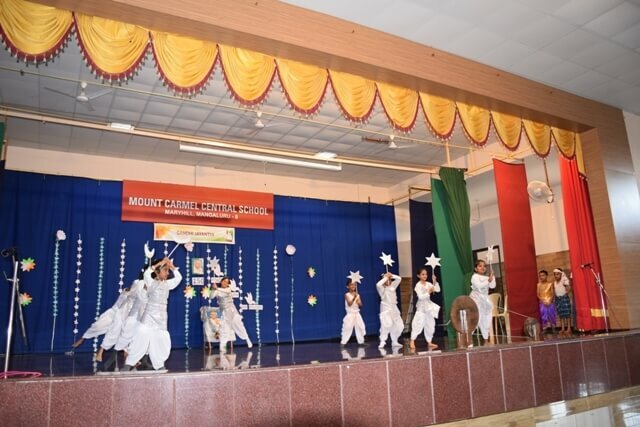 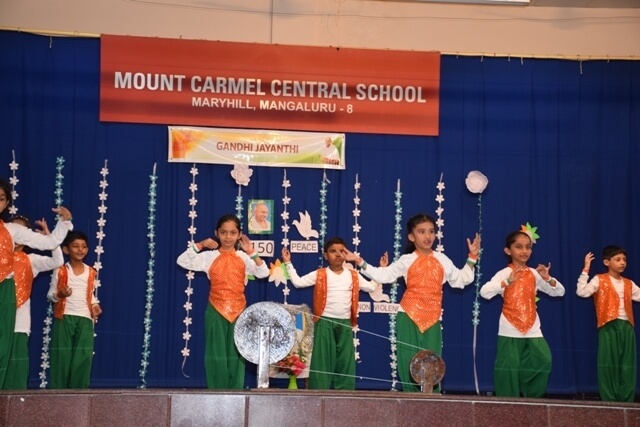 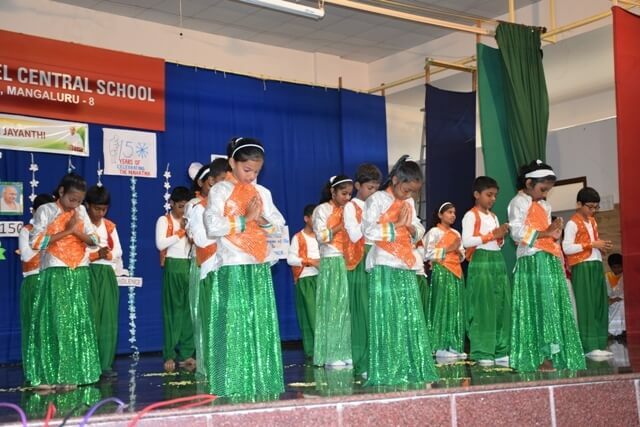 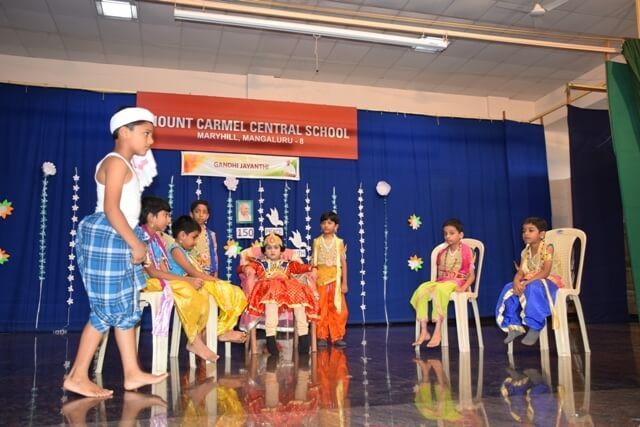 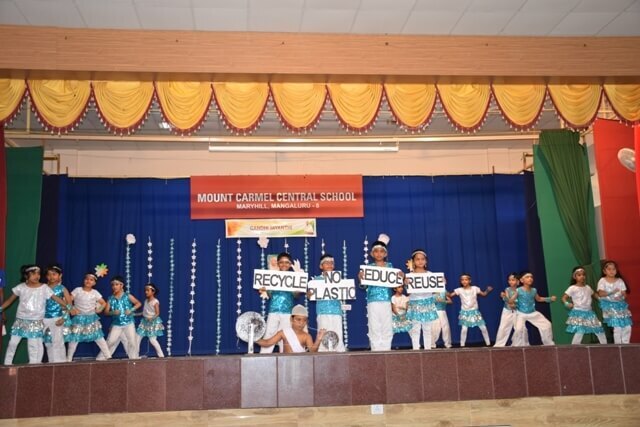 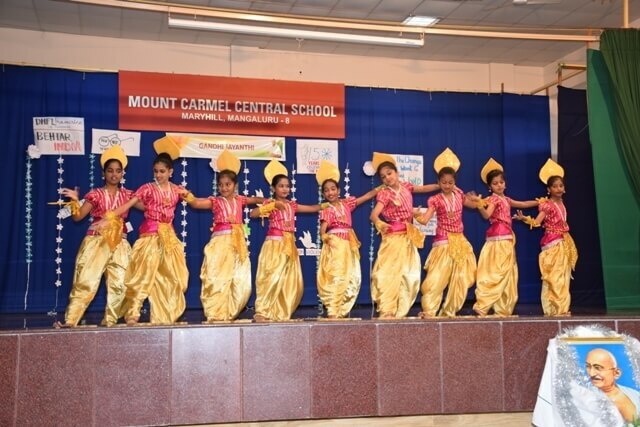 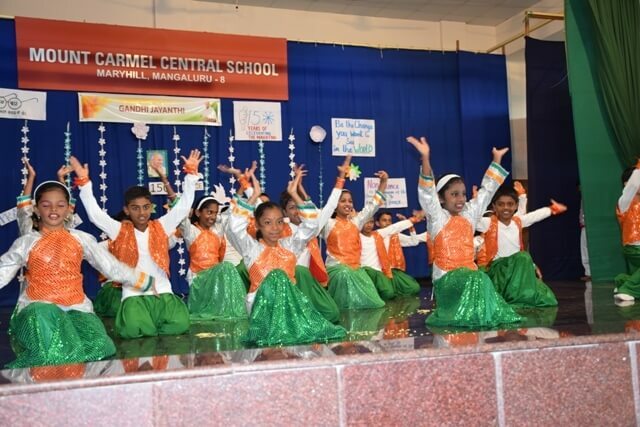 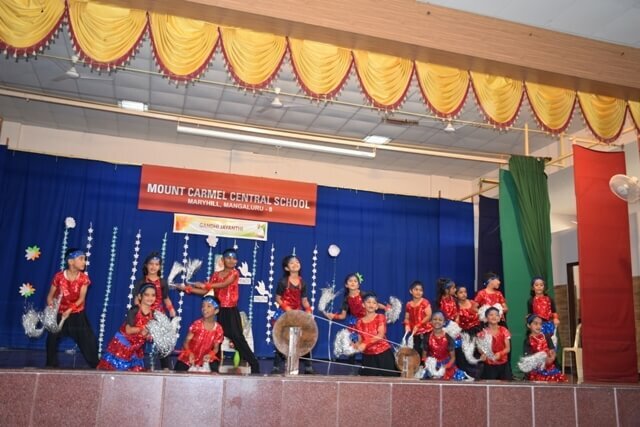 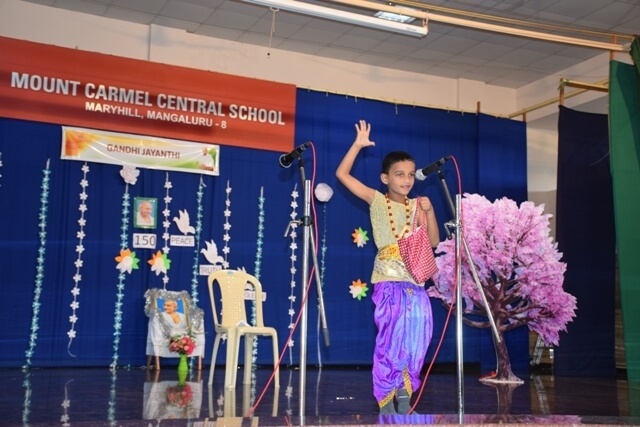 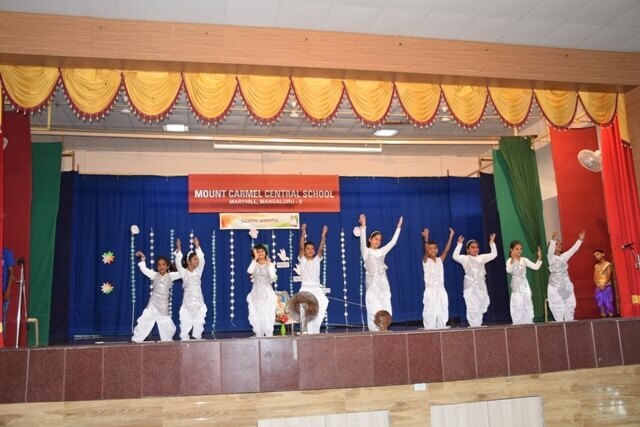 The students took this opportunity to start creating more awareness through a dance to bring about the little ways in which we can reduce our dependence on plastic. 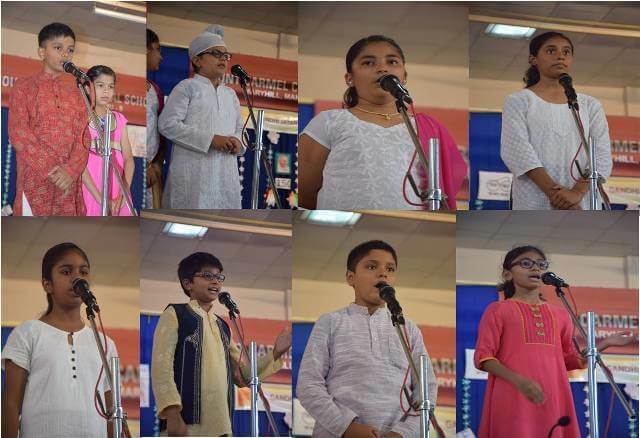 The song Sabarmati Ke Santh was sung as they dedicated it to their beloved Bapuji, paying homage to the Father of our Nation, the guiding light on his 150th birthday. 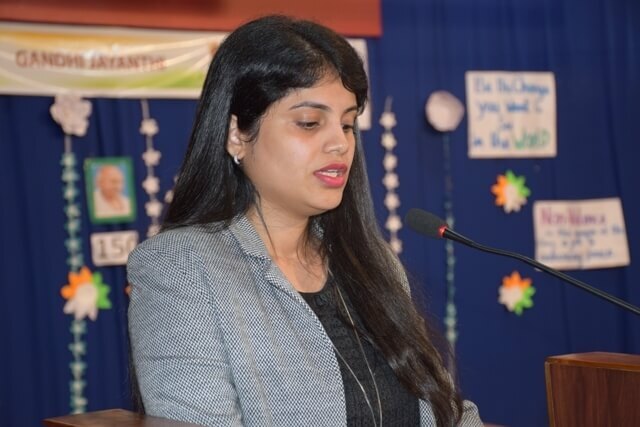 The chief guest Mrs. Shruthi Shetty, Principal, Maps College, Mangaluru applauded the students’ performance and urged them to inculcate the values of simple living and high thinking of our great leader Bapuji. 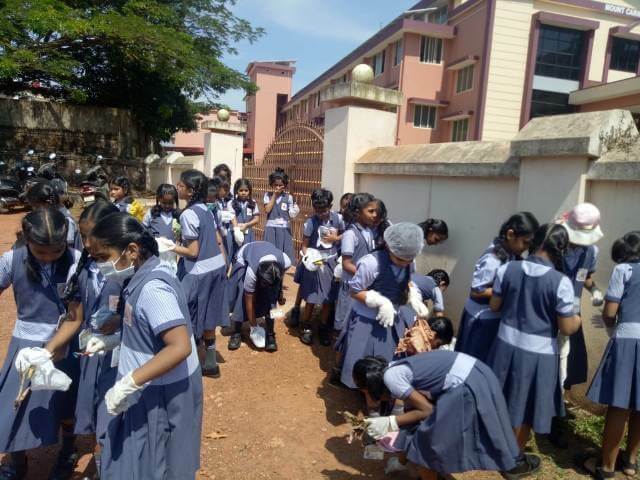 The juniors ended the day cleaning their classrooms and the surrounding area with gloves on their hands and smiles on their faces. 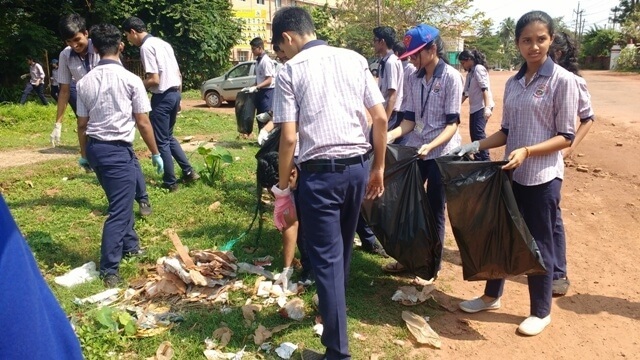 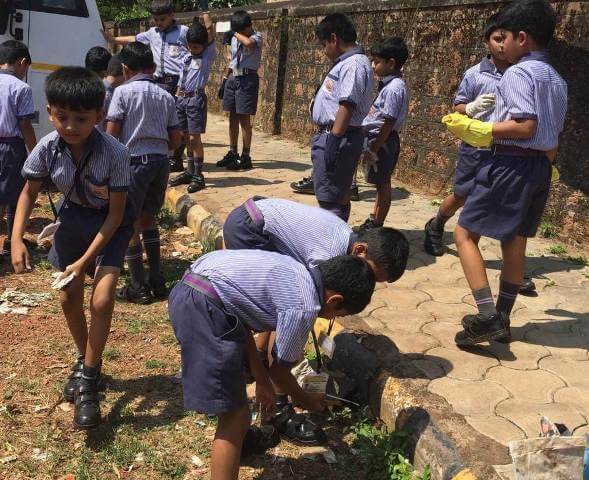 The school will continue the celebration of the 150th Birth Anniversary of Mahatma Gandhiji through a well planned yearlong programme on Community Service.